Booking a ticket at FareHawker is very simple, so you have more time for the important things in life. All you have to do when looking for a flight is select route for Goa to Hubli and on which travel dates. FareHawker does the rest by sorting through the available flights and cheapest fares for those dates. Our results page will then display the available flights, cheapest prices, times and flight duration for your search. At that point, you just have to decide which of those tickets you wish to book, then enter the passenger and payment details, confirm, and pay for your tickets. It's that simple! All the tools and resources you need to make the most of your online booking and planning we guarantee the best pick. From the lowest fare to charter flight or even group booking we have it all round the year, book your next flight for best airfare. 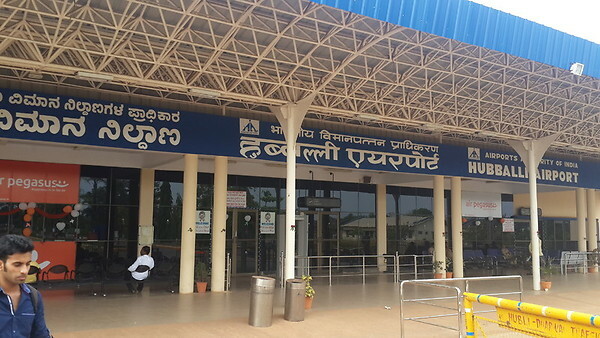 Hubli, officially known as Hubballi, is the second largest city in the Indian state of Karnataka. It forms continuous urban area with the city of Dharwad. It is also called Hubballi and is a key producer of cotton and peanuts. Hubballi means flowering creeper which is a specific type of plant. Tourists love to visit this town to see its natural beauty. Temples and historic monuments of the city make it popular among tourists. Temples are beautifully crafted with architectural marvels and designs which attract the attention of people. Nice to know - Hubli alias Hubballi literally means flowering creeper. Best time to visit - Weather of the city is tropical and dry. Monsoon is pleasant and wet. It starts from August and remains till September. It is also the best time to visit Hubli as you can view various sights easily.